Frames vary widely in price. So what are you paying for? Here's a breakdown of what you get for your money. Museum-quality frames that are archival, UV protective, and *completely non-reflective* can easily cost $600 for a 24" X 36" piece. This price premium can usually be attributed to a very expensive Plexiglas or acrylic which is expensively manufactured so that you can't see any glare whatsoever. This type of acrylic is often called Optimum Museum Acrylic or 'Opti.' Opti is beautiful and used in museums and galleries across the country. Opti has become the industry standard rather than glass because it's insurable and lightweight which makes it cheaper to ship and safer. But, the price tag can make your eyes roll. An alternative solution that I recommend and sell, is a UV protective, acid-free, custom frame that is anti-glare but NOT non-glare. It won't be completely non-reflective, but as long as you don't put a lamp or chandelier directly in front of the piece, reflections won't be an issue. I work with a national framing company called Framebridge that makes high-quality, affordable frames. Their fashionable, acid-free frames are contemporary and chic. They offer dozens of frame styles including: white, black, gold, silver, bamboo, tiger wood, burl wood, weathered and float frames. If you want it, they make it. 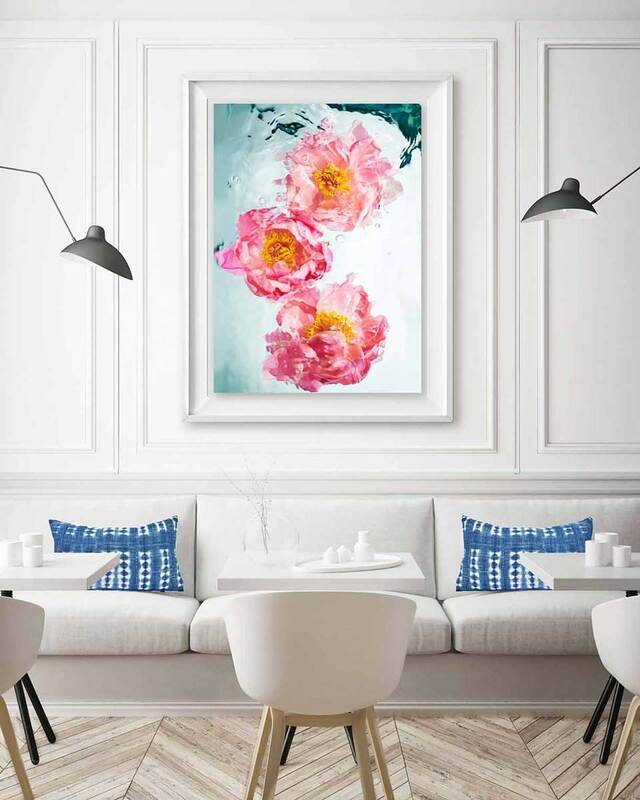 Going with a nation-wide company like Framebridge allows you to save on the frame (thanks to the economies of scale a national company) so you can spend more on the art. If you ordered a frame locally instead of a Framebridge frame, it probably cost more (often 2X as much) and take the same amount of time to frame. Cheap frames come in standard sizes. Almost all of them are made with highly reflective plastic 'glass' covers. This plastic isn't made specifically for the framing industry and it's used in lots of applications - like packaging. These frames make me anxious and I tend to avoid this section of the craft store.